Professional Photographers Society of Greater Washington is an affiliate professional photographic organization of Professional Photographers of America. 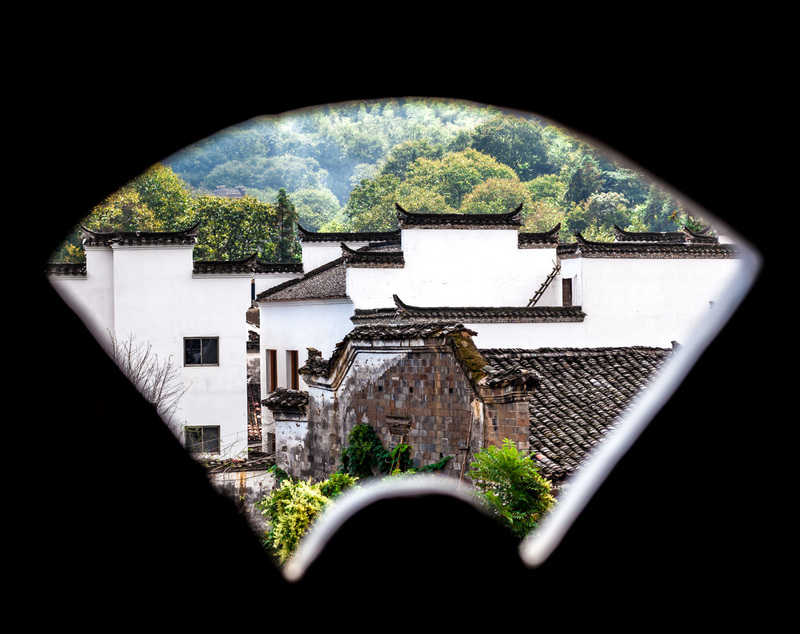 The organization is dedicated to promote and nourish the professional photographers society. We strive to make the members have higher standards in all areas of photography. The organization has meetings every month of the year on the first Tuesday evening. It constantly host educational seminars, presentations and workshops to bring up members' technical skills and to broaden members'creative field. Everyone who is a professional photographer or an aspiring photographer is welcome to join. This is a place for you to receive photographic education, to better one's craft, to learn how to achieve profitability through your photography and to socialize with working professionals through the network. The tax deductible annual membership of $75.00 includes all regular workshops & classes during the year. Our September meeting will be Tuesday September 4th at 7:00 PM. Board Meeting at 5:30 PM at Baronessa. 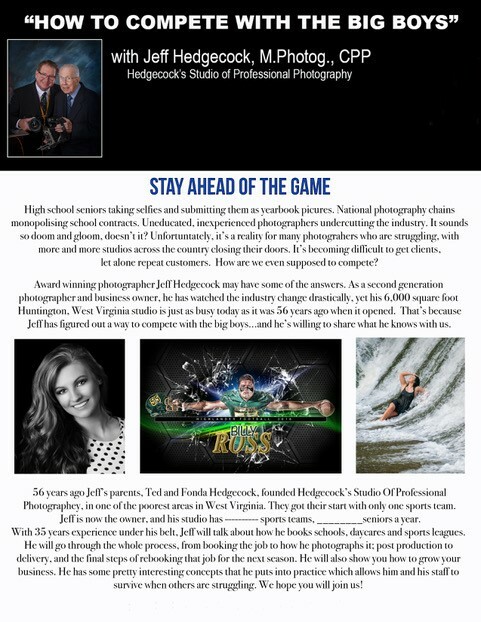 We are happy to invite Jeff Hedgecock, M.Photographer and CPP from West Virginia to share his experience on how we can "Stay Ahead of the Game". Regardless of how good you think you are, if you learn one thing that you didn't know before, you are putting yourself a few more steps ahead of others. Our May 1st 2018 Speaker was Kathy Kupka presenting Tips & Tricks of Dog Photography. 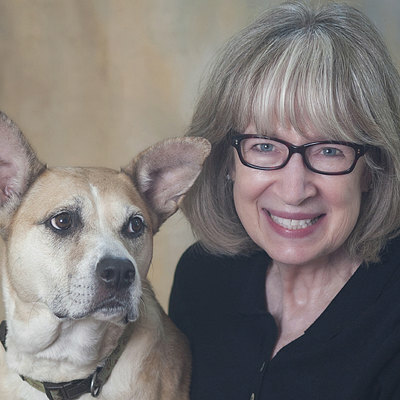 She is an award winning portrait photographer, cancer survivor, Indie author of the Photo Book entitiled "Cancer if Ruff" and a designer of her own line of Doggy Greeting Cards! 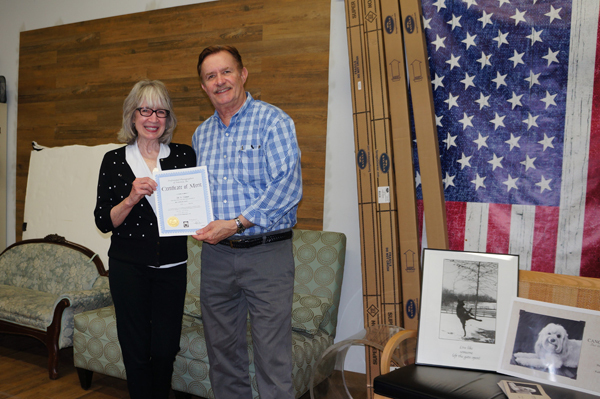 Kathy took years of classes at NOVA then started her own Photography Studio in Leesburg Virginia specializing in Canine photography and, of course, some two-legged subjects upon request. Kathy will demonstrate posing & lighting tricks for photographing dogs as well as insights in today's photomarket. Her books and greeting cards are in many stores. We will try to get her to do a book signing if possible! 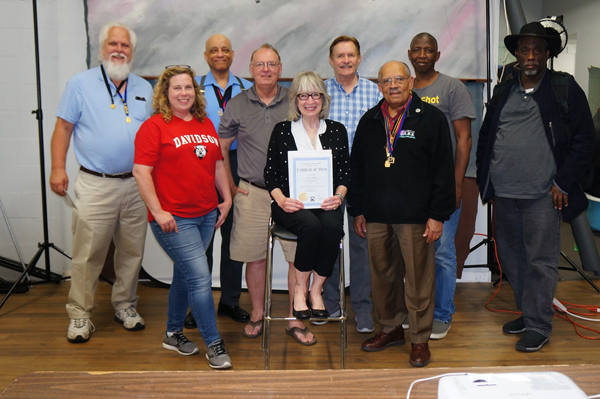 Kathy is a member of the VPPA, the PPA and Toastmasters International. 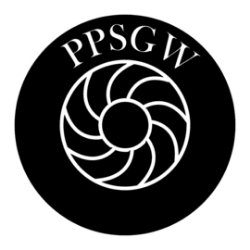 PPSGW Presentation meetings are held the 1st Tuesday of the month. Meetings are held at Pilot Imaging Labs in Rockville Maryland and begin at 7:00 PM. The board meeting will precede at 5:30 PM.